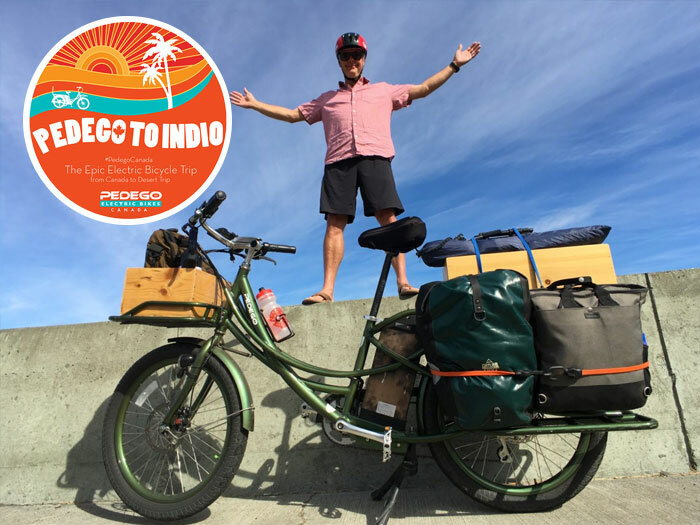 Before Pedego Adventurer Jon Langille set out on the first-ever electric bicycle tour from Canada to Indio, California, CBC Radio interviewed him to find out why he was so keen to do the journey. That was only the tip of the iceberg when it came to media coverage featuring Jon, however. 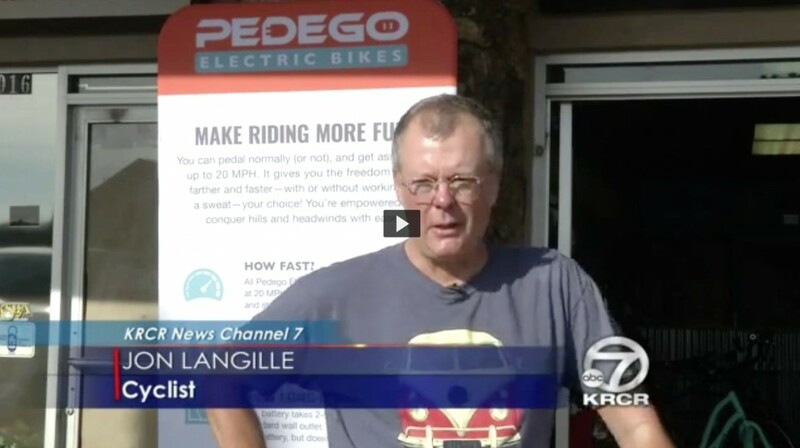 When he pulled into the Pedego branded store in Bend, Oregon on his Stretch electric cargo bike, a KTVZ television crew was there to interview him about his journey. The footage featured Jon and his bike standing in the store and began with the reporter saying, “What would you do to see your favourite band in concert? Whatever it is, it’s probably not this: 54-year-old Canadian Jon Langille is riding his electric bicycle from Nelson, British Columbia all the way to Indio, California.” Click the play button in the video below to see the interview in its entirety. 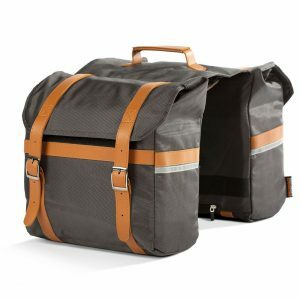 What can someone who’s thinking about bike touring learn from your experience? Be well prepared for flats! Always carry a patch kit, good pump, extra tubes, tire levers, and Fix-a-Flat for bikes. Also, be sure to pack easy wash, quick dry clothes and not many of them. Consider gel seats and handles specially shaped for long rides. How does this bike tour compare to other ones you’ve done in your twenties around Asia, Australia and the UK? Even though the electric bicycle I have (a Pedego Stretch electric cargo bike), the actual riding is easier. 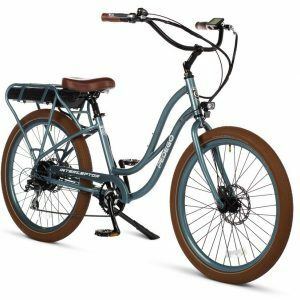 Hills and wind are not nearly as big a battle as they are with a conventional bike. The route I’ve taken would not be advised on a standard bike. I think an ebike opens up more of the map for bike touring.